I was never a runner. I always complained on gym day when we had to run a mile. I was the one walking most of it and mumbling under my breath on how much I hated running. Fast forward to college. I began to realize the benefits of working out more consistently then I had in the past. It all started with a Zumba class at the school’s recreation center, and seeing the little changes in my physical appearance over time motivated me to do more. I began to see gym time as more of a lifestyle than something to check off my to do list for the week. I was always the girl who wanted to run, but never seemed as though I could have the stamina or will-power. So instead I just complained when I was forced to participate in anything running related. But after becoming more in-shape, I thought about giving running another chance. 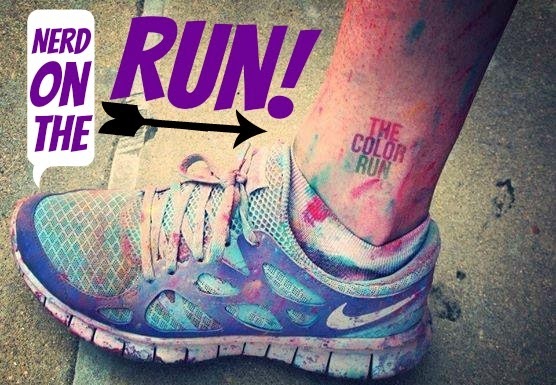 What got me truly serious was an advertisement for The Color Run during a Pinterest-binge-instead-of-studying session. 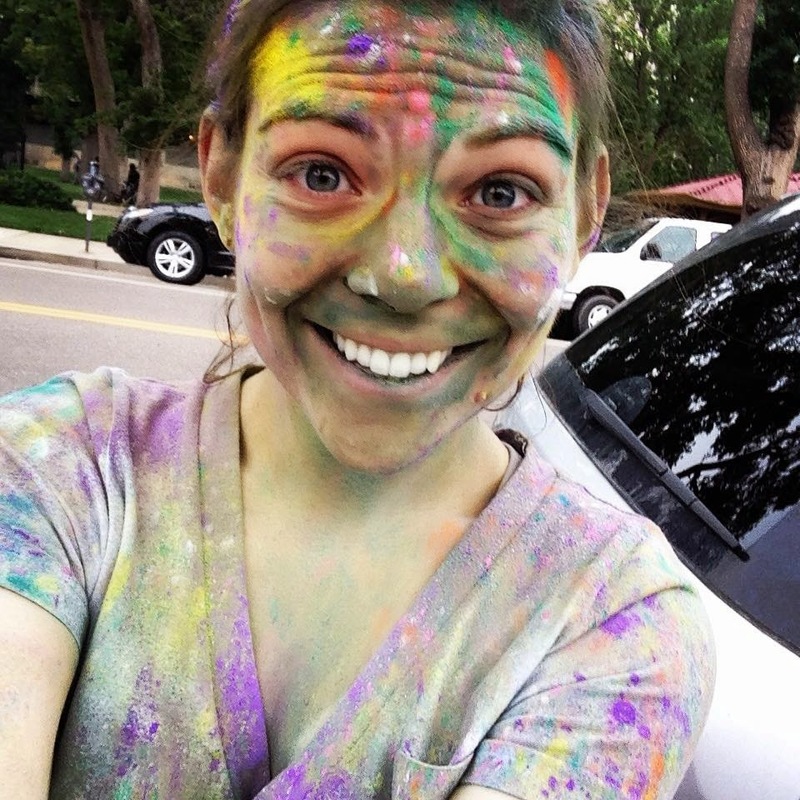 A run that doused color-y cornstarch on you and touted to be the ‘happiest 5k on the planet?’ That might be fun, and there was one in Denver. My runner-and-all-inspiring bestie signed up with me and it was far enough away for me to train for it. A friend recommended a running program for beginners, Couch to 5K. So I looked into it, slightly skeptical about being able to run 3.1 miles straight in just 9 weeks. (Folks, I repeat, I was not a runner! I couldn't muster enough energy to complete even a mile.) But having already signed up for race, this was my best shot. The program starts off with painstaking intervals and gradually builds you to running more than walking. This program, was a Godsend, I cannot recommend it enough. In shorter time than the program promised, I was running the 3.1 miles at the gym. However corny it sounds, I’ll never forget the day I ran two whole miles on my own without stopping to walk. At the time it was the farthest I had ever run, it felt incredible. I had accomplished something I hadn’t done before, something I thought I could never do. I experienced that runner's high that I thought was bogus. I knew after that day I would always want more from running. And ever since, I strive to run faster and farther than my previous bests. I am happily addicted. The question I get the MOST whenever I talk about running is why? Why would I want to put myself through that? It hurts. It isn’t fun. I’ll only run if I’m being chased. A couple years ago, I would have been the leader of that parade. Today my perspective on running has shifted completely. I am a worrier, I get frazzled easily and I let stress get to me. My previous go-to to deal with those kinds of emotions was either a complete breakdown or stuffing my face with chocolate. Now if I feel overwhelmed I go for a run. My brain is constantly thinking, but when I run my brain shuts off. I mean completely shuts off. Think of having an internet browser with a gazillion tabs open all the time, then closing all those tabs at once for an hour. I can be thinking of absolutely nothing when I am running. I can focus on the music (and sometimes sing along. Sorry other treadmill and gym going people!) or stare vacantly and realize later that my legs have already clocked a few miles. It’s a gift. If I’m having a bad day running is my escape, something physical to alleviate whatever inner battle I am having with myself. If I’m having a good day, running just makes its better. Sure, running isn’t always fun. Sometimes it hurts a lot. Sometimes I don’t run fast. Sometimes I run a half a mile and don’t think I can take one more step or ever want to run again. But something always brings me back. I’m always thinking about the next run. I’ve improved since I’ve started, completing distances I honestly thought I would never achieve. And I always want to keep improving. I want to have those 13.1 and 26.2 stickers on my car. I want to be that seventy year old at the gym who still runs. I just want to run. I am happy to say that even though I’m not the best by a long shot, I’m still a runner. I will always be a runner. Couch to 5K is an excellent tool for those who were like me and didn’t run at all. This program (you can even download the app version) will gradually build your running distance and confidence! Don’t get discouraged. It’s tough to begin running and it’s sometimes tough to maintain running. I have days or even weeks of bad runs. But that’s okay! You will have better runs in the future. Get proper shoes. I can’t stress this enough! Proper shoes are critical. I personally love the Nike Free Run 2 shoes. They are lightweight and conform to my feet. If you need help getting proper shoes, there are running companies that will help you find your perfect shoe! Download running apps! There are plenty of running apps to help motivate you while you run, or to track your milage. A few years ago I got the iPod nano with the Nike + app built in. This app tracks each run, gives you all your stats, and even creates challenges you can accept to mix things up! Pick YOUR kind of pump of music! Without music, my runs would be miserable. I love listening to music that pumps me up. I tend to gravitate towards club music or hip hop. BUT, my nerdiness does come out in my playlist. I often listen to Disney songs, songs from fandoms I am a part of, or even podcasts. 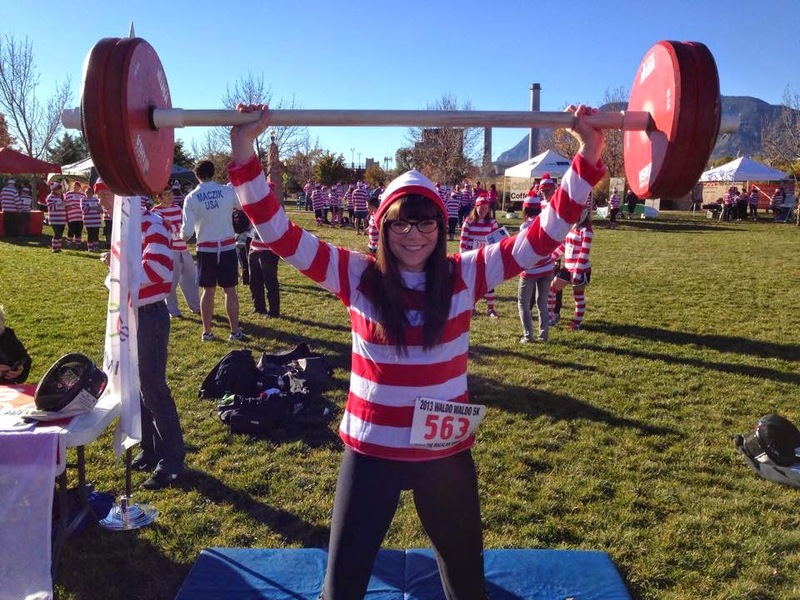 Are you a nerd for fitness or running?! Share your stories with me in the comments below and connect with me on Twitter @nerdontherunEls. Let's encourage each other for the year ahead! I can honestly say, that you have now convinced me to give it the honest go. Thank you for the motivation, once I beat my cold I am going to start working in this! And this is great running advice. I don't run as often as I should, but I found that running apps really help (Zombies, Run!, anyone?). Thank you for sharing your tips! I have to look into the Couch to 5K program! I want to run the Avengers Heroes Marathon at Disneyland this year! I definitely want to look into Couch to 5K. I used to love running, but when I had my daughter and got completely out of shape, I lost all confidence. But I'd love to particpate in 5Ks like the Color Run, or the Zombie Run! That just sounds like so much fun!! This is the most motivated I've ever been to try running. I did the couch to 5k back when I was in college, and I remember I did start getting better, but never finished the program. Perhaps it's time to pick it back up. 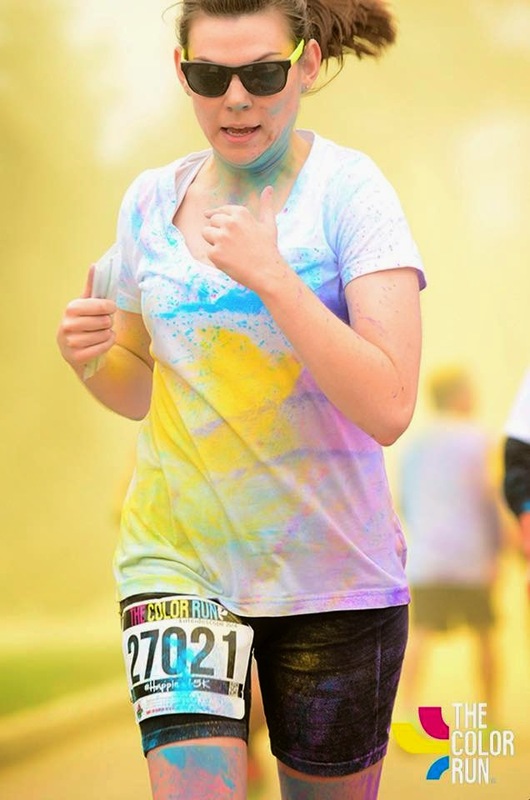 I LOVE The Color Run! I've only done it once, but the months before that were the most motivated I ever was to get better at running. I'm still not great though. Hahah! This is a great read! The color run is a fantastic first 5k. Everyone is so happy you forget you are running. I have heard nothing but good things about the "Couch to 5k" program... and *great* running tips! And yes, shoes are critical. Really good ones will cost you a bit more (mine cost about $100) but it's honestly worth it. Me too, Natalie! It's my most looked forward to run all year! And you don't have to be the greatest at running. As long as you are trying YOU ARE A RUNNER! Thanks for reading xoxo. Yes! I will always encourage someone to start running! You can do it :) Good luck! Thank YOU, Usagi, for reading! Like I said, that program will definitely put you on the track for success in running! And that's an AMAZING goal! I finished my first half marathon in July and also used the Couch to 10K program and it helped me build my legs for the longer distances. Good luck! And yes, been wanting to check out the Zombies, Run! app! Rebecca, thank you SO MUCH for this comment! Made my day!!! I promise running is so rewarding. It's not always sunshine and roses, but the payoffs when you have a great run are amazing. Good luck to you, dear! xoxo. Your story sounds very similar to my own. Grew up hating running, started to in college to get healthy, and now do it for my own sanity. I enjoy getting to know other nerdy runners, especially since most people don't understand my 26.2 Sonic tattoo. Absolutely! I didn't do that run myself, but I have a co-worker who did. I love seeing pictures from that run. So fun! I'm glad your home was okay! That fire was so terrifying. I never was evacuated for it or Black Forest, but my work was in the area for Black Forest so we had to close and evacuate (it was okay). Crazy Colorado! Thanks for the comment, Emily!! Running is definitely part of my routine for sanity! So nice to hear another runners story close to mine! 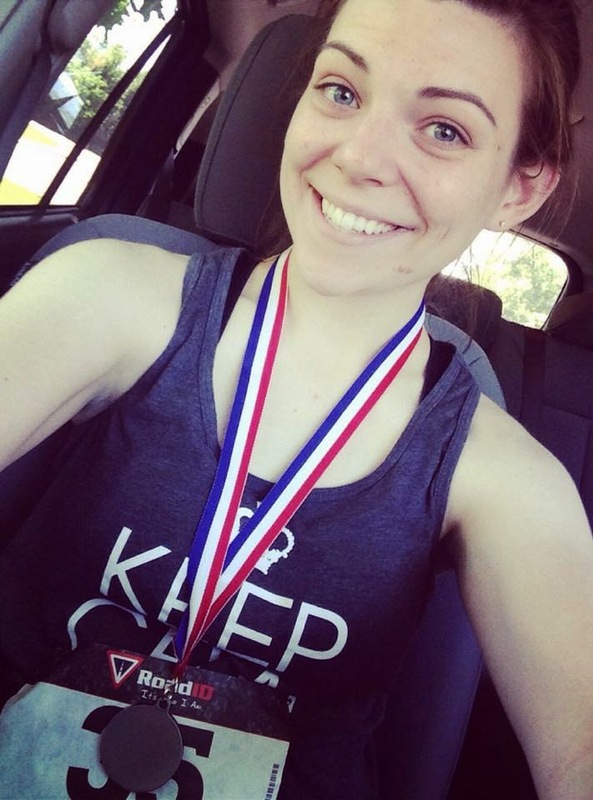 Congrats on the marathon and love the tattoo :) Thanks for reading. Xo. YES! Music is so key!!! And as much as I hate running now (that I am out of shape) I know its one of thebest ways to get in shape, and can be a GREAT addiction! I've not tried Couch to 5k but my husband has. Maybe I need to try it to remotivate!